Having a reliable gate repair service on speed dial is always useful! Our gate repair service in Garden Grove has been around for the past fifteen years and never fails to satisfy customers. We repair and install all types of gates from automatic gates, rolling gates, electric gates to wrought iron gates. 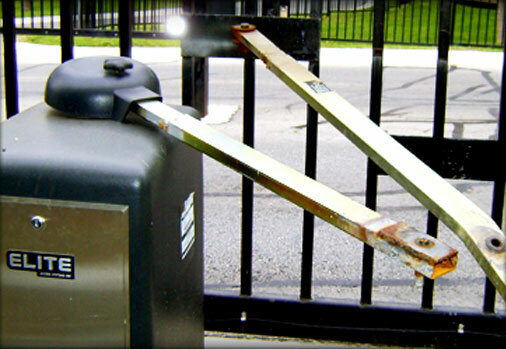 No matter what type of gate you have at your residence or office, we will fix it for you real quick! We are one of the most reputed and dependable gate repair services in the state of California and have a very loyal customer base. Our crew is very experienced and professional and will see that the job gets done on time and according to your requirements. We offer residential as well as commercial gate repair. Our gate repair service in Garden Grove guarantees that you will get the results you desire and the best service that you have ever experienced. We can always be relied on to get the job done effectively and efficiently. All the replacement parts that are used by us have been carefully scrutinized and always receive our seal of approval before we install them. We know that you invest quite a huge amount in updating your gate system and we respect that. Hence, we do our best to provide you with quality repair and installation services and fix all malfunctioning systems. You may not know how important it is to maintain garage door systems properly, but we do! They require a lot of care and effort and we would suggest an annual or semi-annual maintenance check-up. This will enable all the components to work smoothly and will probably not result in any major maintenance issues. Our professional repair crew is always at hand to deal with any serious bugs or glitches in the system and they can also perform on site trouble shooting, if required. What Can You Expect from Our Gate Repair Service Garden Grove? 24x7 emergency repair services - We have a very loyal customer base in Garden Grove because of our superior quality services and talented repair technicians. We are also available 24x7 and hence, can provide emergency gate repair and installation service, if you need it quickly. We service all gate operators - We can handle repairs of every gate operator that is available in the market. We make sure that all our repair technicians are carefully trained in the best methods to repair each system. However, the gate operators that our talented technicians are most familiar with are All-O-Matic, Apollo, Challenger Allstar, GTO, Ramset, FAAC, BFT, Eagle, DKS and Elite. Preventive maintenance - One of the reasons we are so popular is because of our thorough maintenance tune up sessions wherein our technicians carefully scrutinize all the components of your gate operating system. We won’t leave your residence till everything checks out all right. Scheduling regular preventive maintenance sessions can actually help you save tons on emergency repairs. Friendly service - One of our main priorities is being friendly to customers and ensuring that we deliver services according to your preferences and requirements. We have a very approachable staff that will always be willing to spend a few minutes clearing any doubts you may have about our repair services. Advice - Our customer representative team back at the office is always on hand should you need any help. If you have a whole lot of queries which need to be answered urgently, you can visit us or call our helpline number and they will take care of whatever doubts you have regarding our credentials, services, policy or charges. We believe in being very cooperative with customers and building a good rapport with them. Prompt response - If you live in Garden Grove and need a reliable gate repair service which is available round the clock and can provide same day service, just give us a call. We can be there within 45 minutes from the time we receive your call. Our crew is extremely professional and they can take care of all repair work as soon as you need it. We give it our all and put every bit of effort into our repair work! Give us a call on (714) 583-7253 to experience our superior gate repair services in Garden Grove.